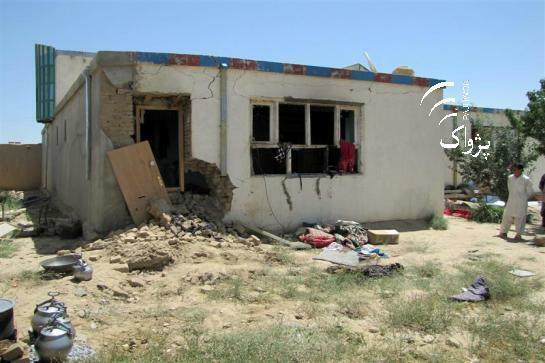 (MENAFN - Pajhwok Afghan News) Eight members of a family including women and children have been killed and three others wounded when a mortar shell hit a house in Warmami district of southern Paktika province, officials said Monday. Paktika police chief, Brig. Gen. Ghulam Sakhi Rogh Liwanai, told Pajhwok Afghan News that the incident took place in Sayedkhel area of the district on Sunday night. He said eight people including women and children were killed and three others wounded in the incident. Khan Mohammad, a resident of the area, said six people were killed and three others wounded in the strike. He said the victims included four children, a woman and a man. The wounded are still in their house due to absence of healthcare centers here, he added. Abdul Ghani Paktin, former provincial council member, said Afghan forces and the Taliban engaged in a clash in Warmami district of the province on Sunday night. He said a mortar fired by the Taliban landed in the house of a local man, Mohammad Azim and the incident caused casualties. Taliban did not comment yet about the incident.